5 Days Until My First 26.2! 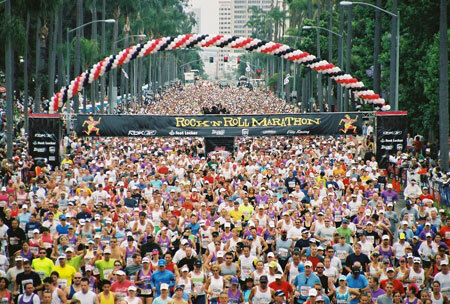 The San Diego Rock ‘n’ Roll Marathon is only 5 days away! I am so excited, nervous, and ready for it to be here. This will be my first full marathon, and I can’t wait to experience crossing that finish line 26.2 miles later. What am I doing to prepare for the race? Tapering, carbo-loading, and resting (mentally and physically). Some of these items are easier said than done. Resting, for example, is not a normal state for me. I am very Type A and always on the go or doing something. On top of that, I am a very anxious person in general, so getting my mind to turn off for a bit can be challenging. Still, it’s important to get rest leading up to race day because most of us won’t get much sleep the night before. (I’m pretty sure we need to leave by 430am!) Carbo-loading might sound easy, and trust me, I love carbs as much as the next girl, but our running coach just told us that 75% of our calories should be from carbs! I eat roughly 1,800 calories/day, and generally 600 of those calories (1/3) are carbs…I guess I need to find ways to more than double my normal carb intake this week! I’m already eating them 3 meals/day, but I guess I need to get a little more creative. In other words, it’s time to prepare myself for weight gain, which is apparently a good thing leading up to a marathon. 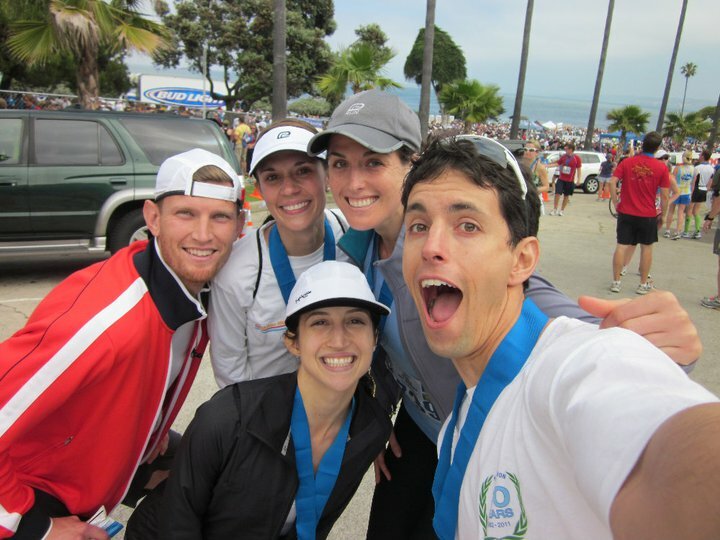 A little more on tapering, courtesy of my running coach, Blake, from Vavi Running club.
. Decrease mileage & intensity to rest & repair the body.
. Rest your mind to prepare for the long haul.
. Keep frequency of workouts the same.
. Increase carbohydrate intake to load fuel stores. I feel like the tapering plan for my most recent half marathon went really well, so for the full, I’m going to continue to follow my running coach’s advice and taper, rest, and carbo-load! I’m honestly surprised with how well marathon training has been going. San Diego Rock ‘n’ Roll Marathon is only 2 weeks away! 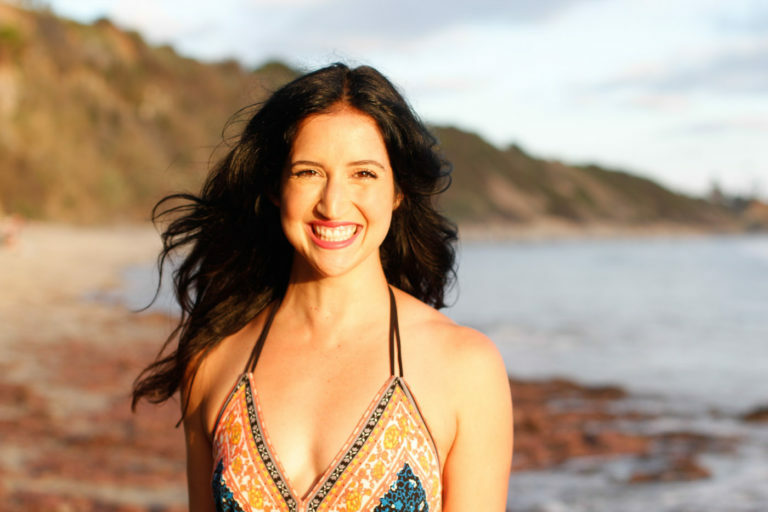 Getting injured was the one thing I was most afraid of when I started marathon training. I’ve heard way too many stories of Achilles nightmares, IT band injuries, and everything in between. So far I’ve been lucky. Yes, I’ve had some aches and pains but nothing that ibuprofen and willpower couldn’t cure. What have I taken away from all this? Here are my top 5 tips for marathon training. 1. Be persistent with your training, and follow your training program as closely as possible. 2. Listen to your body. Pay attention to warming up and stretching, and don’t run with an injury! 3. Hydrate. I stop at every aid station and have at least 1 cup of water and 1 cup of sports drink. 4. Pay attention to your nutrition 7 days/week. Don’t skimp on calories and carbs, but don’t fill up on empty calories either. 5. Try strength training. I worked out 8x/week which is excessive if you’re not already doing a strength training program, but for me, 4 days of P90X + 4 days of running = increased speed and stamina.